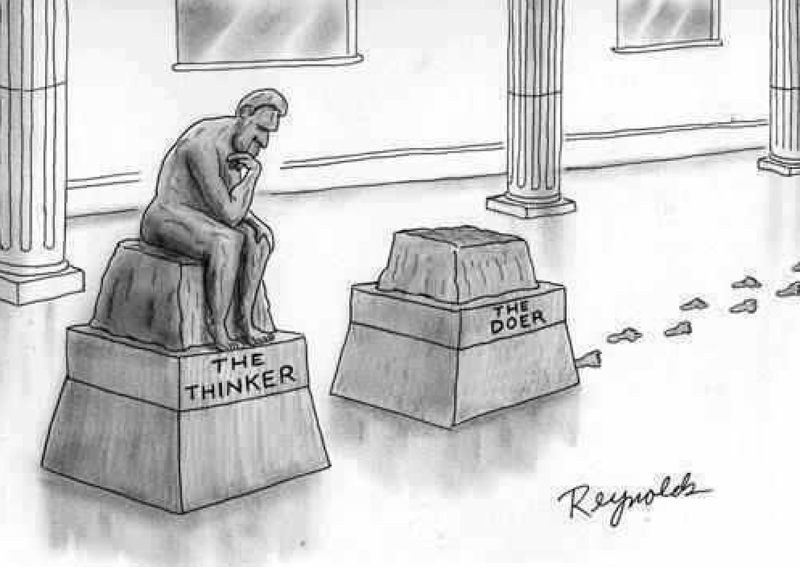 It is easy now-a-days to think that you have the next best idea waiting to happen. You discovered it one day when you were at a family get together and all the kids kept complaining that they didn’t have an easy way to fill up their water balloons and that it took too much time. You figured out a way to build a spout that can fill up hundreds of balloons all at the same time. The show, Shark Tank on ABC, has grown in popularity because of the ability of the producers to take what is normally a boring presentation process and turn it into something entertaining to watch. If a startup company needed an investment then they had to apply to many Venture Capital Firms hoping that a few call them back to come in and pitch their idea, which was way before the show Shark Tank. People love watching the show because a lot of them sit at home saying to themselves, “oh I had that idea a long time ago, mine was better.” Others might say, “No, I wouldn’t invest in your company, you have no idea what you are doing!” These are common things all across the board when watching the show until you come across an idea that already been done before but in a new way. Those are the companies, with a healthy growth rate, that catch the eye of the sharks in the room. Of course many of those sharks are not all that interested in your company in the but trying to gain as much control of your company as possible in order to increase the wealth potential of their own portfolio. So what are those Sharks thinking about when they look at other people’s ideas? Why do they act so ruthless and not care that they might offer them a lowball offer for a high equity share when it means a not-so-positive fate for the CEO pitching to them? Why? They want the product and idea and the CEO pitching has done the homework of showing them how the market is reacting to their idea. If it is positive, then with the amount of money each shark has, they can easily turn it around and make millions more off of it but first they need to own it outright or have controlling power. In order to see why certain entrepreneurs go on to make it and why others keeping to spin in circles I will show three habits that are shown to have huge positive effect on growing your business but also help improve your work habits. Successful entrepreneurs are different from people who call themselves entrepreneurs because they don’t really do anything except keep busy with busy pointless work. Successful entrepreneurs have developed habits that keep them out there learning about what all is happening. One of the first things that naturally successful people do is develop a complete picture of what they want their life to be in their head. They are usually the ones to get up early and perform some habit before breakfast. The most common are writing, working out, responding back to emails, preparing a To-Do list that is achievable throughout the day, or working on a project one step at a time. People like this keep their schedule well planned out but allow flexibility. Many CEOs and many articles have been written about what they like to do early in the morning. It is a most common trait to hear that many of them get up at 5 or 6 in the morning to start their routine. Many of them don’t pour that first cup of coffee until an hour or two later. This is enough time to get your mind and body into the habit of getting work accomplished throughout the day. People who start their day with no purpose or direction tend to putter around in the mornings going from one little thing to the next before they sit down and ask themselves, ok, what should I do today? An entrepreneur should have their days planned out according to their week and month. For example, they know that they need to work on their website but they know that they cannot spend all their time doing that so they devote a certain portion of an hour each morning until they have to launch, or if it is already up and running, then working that hour to make sure it looks updated for people to see that the website is new and refreshed each time. This habit of updating also matches with making sure the website is growing over time. A website that looks the same from seven months ago is not a company that shows any growth or promise. The work you do today should match what you plan to accomplish tomorrow and the work you accomplish this week should enable you to finish the work you plan to do next week. Everything is built on layers and successful entrepreneurs have a clear understanding of this but also of their time and schedule. Events that pop up are not a challenge because successful entrepreneurs understand that there are events that they just need to be at. Schedules help keep things in order but Life is what you plan around so thinking that you can just ignore certain events is not the habit of successful people in general. 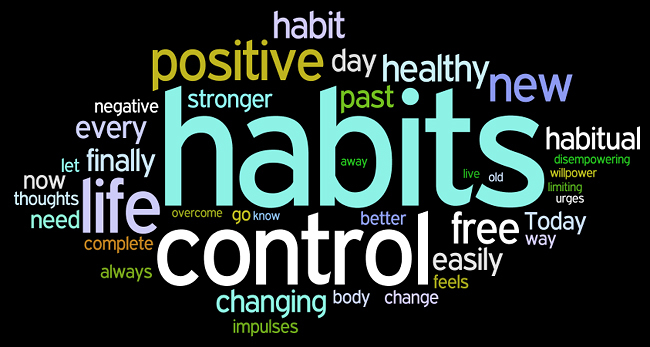 Creating a habit is difficult because it means having to change what you have been comfortable doing before. Many times it just requires doing it cold turkey and not looking back. There are many, many books out there about how to change habits, many are amazing books to read like this one, but the difference between reading and doing is the act of prolonging. A book gives you the feeling of accomplishing something in small steps just to convince yourself that you are doing something but many times after the book is over you fall back into the same rut. Change is not easy but doing great things was never the intention. This is a very common thing that people have trouble dealing with. You start a project with intense focus only to get distracted by something else and you get sidetracked. You set aside the project and leave it until you have more time again to work on it. Or as you are working on your project you run into a problem that prevents you from completing your work. The obstacle in the way, for many people, keeps them from completing their work so they lose interest and start another project thinking that a fresh start is all they need. This is a common bad habit because after years have past you look back at all the unfinished projects. Each time you start something new without finishing those old projects you create the bad habit of “doing things that are easy” but also the creating the mindset, “if I don’t like it then why should I force myself to work on it if I’m not enjoying it?” Both are big problems that keep people from doing great things but none is more so than the last one. When you reason to yourself that it is ok to only work on things that make you happy you teach yourself to be selfish in your personal habits of work. Not all work is meant to be fun and accomplishing great things takes large amounts of time to be great at them but a huge proportion of that time is meant to be difficult and strenuous. Only great people become great by doing hard things. The most common activity all books on creating positive habits tell you is to start with small activities that can be finished right away. This helps build the habit of learning to finish things you started. When I meet people one of the things I pay attention to is listening to how they speak about what they work on. People who sprinkle excuses in everything they say tells me that they are not interested in getting real work done because “they don’t have the time.” They just want to look busy but the reality is you will never have enough time. The habit of maintaining your schedule concise and clearly enables you to see how to finish the projects you start. You should be able to look at their schedule and see when each part will be finished so by a future date set you will be able to move on to the next phase. Take for example someone who plans on writing a book. Someone that is serious will not let anything get in the way of their schedule so they set a time that is least likely to have any other major event push it out of the way, hence why so many successful people like writing early in the morning. They might give themselves a goal of an hours worth of time or 2000 words a day until they hit 300 pages. A project with a goal like that is easy to follow because it has a defined limited with a daily goal set so all that needs doing is the work. You will be ale to know when you will finish the book by knowing how many words fit on each page. Understand that if writing books is your work then creating a schedule is helpful but creating a workflow is more important. This is why many writers look for little get-away locations that offer inspiration and solitude on the weekends in order to accomplish more without anything getting in the way. The importance behind all this is making sure the thing you set out to do is finished because there will always be a next phase that follows. Just because you finished the book doesn’t mean it stops there, now you need to get a cover done, get it edited, and then submit it to publishing houses. knowing there will always be a next phase scares many people because it means the work never stops and why should it? People will always want more if they like it. This is a mindset that is very hard for a lot of people to follow just because it means having to put yourself out there more. How many times have you met an entrepreneur who is working on their project and you tell them about something that they should attend that will help with what they are doing only to find out that they never went. Then you find out that they are simply working on their project because they enjoy it but their actions do not show they actually want any growth for what they are doing. Actions will always speak louder than words so instead of asking someone if they want to grow their business it is better to ask them how they spend their time. That is a huge indication of what their actions are saying. An entrepreneur that is just starting out by meeting people will be more successful with their projects than someone who stays home and keeps to themselves but pours a lot of money into online advertising. Which one will be more successful in the end? The one that gets out and meets people because they might meet someone that connects them with someone who can help grow their business. The internet has enable many people to just sit behind a screen and never talk to anyone but it gives the wrong impression that that is all they need to do in order to grow their business. In the book, The Promise of a Pencil, author Adam Braun talks about how he used his friends and their friends to help throw him fundraising parties for his organization. In was through his proactive nature to get out there and connect with people to find out who would be interested in what he was doing, which was building schools in poor regions of the world that didn’t have access to education. Starting an idea like that takes larges amounts of people to help because sitting behind his computer and just running a website wasn’t going to do it. He was always attending events, talking to people, and trying to find the next person who could help and he did. An entrepreneur who is inflexible about his schedule will miss out on a lot in life. I could easily say that I have enough on my plate to work with but there will always be new events popping up that I need to be at and if I miss them I miss what opportunities were present If I had attended. Business is still very much a contact sport and can only be accomplished by getting out there and meeting people so if you are not willing to change your life and schedule for that then why are you trying to be an entrepreneur? There are many office jobs that will suit you just fine. These three habits can help start the process of what it takes to start thinking and acting like someone with a purpose, especially if they are trying to build a company. The sharks on the TV all come in with a purpose, which is to find the next great idea that will make them a lot of money. They got to where they are by getting up and working on their business everyday without any excuses. It’s not easy, and it is most certainly not fun majority of the time as this book made very clear about what being a CEO is really like, so the next time you make an excuse about something catch yourself and do away with it. The reality about excuses is this, you can only use them once or twice before people start to see right through them. This is because you should learn to fix the problem so it doesn’t happen the next time but when you use it again to get out of something you lose respect from people because the “action” you are speaking is that you have no control over your life so other people begin to think why should I share any new information with you when all you are doing to do is make more excuses to get out of it? If you need more help understanding how to view excuses, which is the very reason why I have made it a point to never use them unless it actually happens, then this saying that my teacher in high school used to tell everyone that tried to get out of doing something works like gold, “Excuses are like armpits, everyone’s got them and they all stink.” Just remember that the next time someone tries to use an excuse on you for getting out of something. This entry was posted in Business, Education, Lifestyle and tagged 12 bad habits that hold good people back, Augusto Vidaurreta, be proactive in business, behaving like an entrepreneur, ben horowitz, building successful business habits, business is a contact sport, business mindset, creating new habits, creating powerful habits, entrepreneur mindset, entrepreneurs, excuse quotes, focus on the goal, Gus Vidaurreta, James Waldroop Ph.D., purposeful habits, shank tank show, spot new opportunities, startups, stopping old habits, successful business habits, the hard thing about hard things, thinking like an entrepreneur, Timothy Butler Ph.D., Tom Richardson, what successful people do before breakfast on March 27, 2015 by Chris.